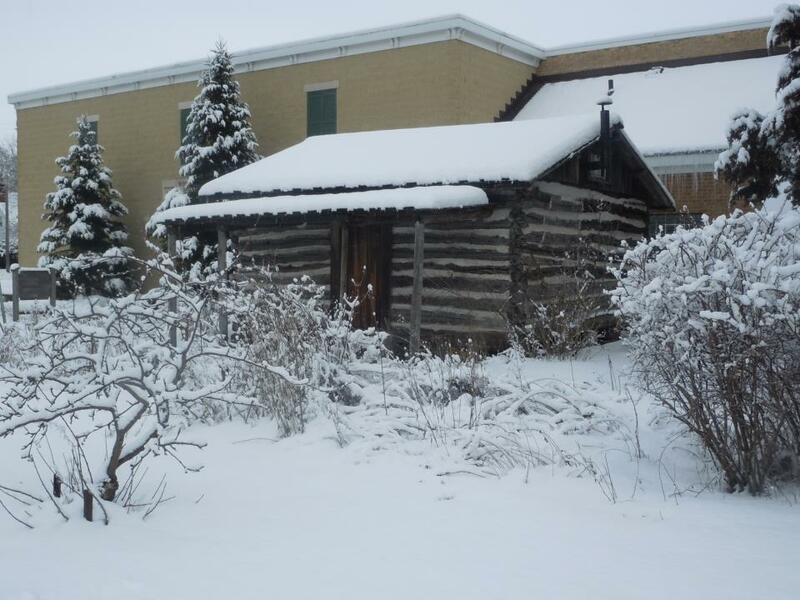 Learn more about the Gannon Cabin, built in 1843, and currently a permanent exhibit at the McHenry County Historical Museum. In 1843, John Tyler was president of the United States. Ulysses S. Grant was just graduating from West Point. The territory of Wisconsin had yet to be admitted to the Union. And Luke Gannon built a log cabin in what is now Crystal Lake. A native of Ireland, Luke was 15 years old when he immigrated to the United States. After helping build the Erie Canal in New York and working for a time on the Illinois and Michigan Canal in Chicago, he and his wife, Margaret, settled on farmland that is now part of the Turnberry Country Club. Following the pattern of the day, Luke's first task was to fell some surrounding oaks, square them into logs and assemble a cabin that would serve as temporary shelter until a "permanent" house could be built. 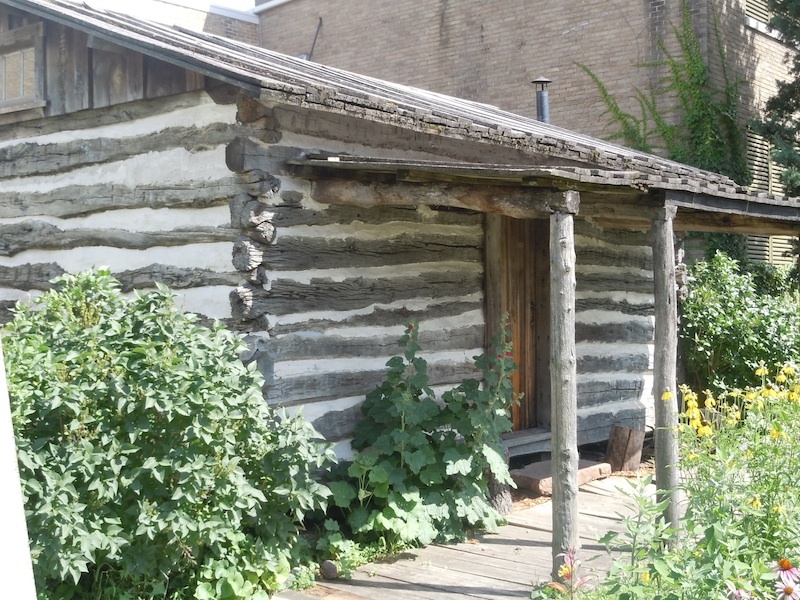 What makes Luke Gannon's unremarkable log cabin so remarkable is that it still stands--not at Turnberry, but in front of the McHenry County Historical Society Museum in Union. The cabin's condition has been "stabilized" since it was moved to Union in 1966. By that time, the little structure had already undergone many renovations. The iron stove at its center is gone and some of the beams show circular saw marks – something impossible when it was built. Ron Nelson of downstate Bishop Hill was called in to help direct the restoration. Nelson specializes in restoring 19th-century structures and had completed restoration of an 1838 courthouse in Decatur where Lincoln practiced law. "This one (the Gannon cabin) really impresses me because it was a little guy's cabin," Nelson said, explaining that the cabin belonged to an ordinary man working his ordinary farm. "They were never meant to be permanent shelters," Nelson said. "If you're in the cabin for the second winter, you're probably a ne'er-do-well." The typical progression of use for such structures was from house to granary to livestock shelter, "and then, when it was of no more use, you'd run it through the stove for heat that winter." Family history and evidence in the cabin itself show that it went through most of that cycle, except the stove. As a result, "this was probably the last free-standing (cabin) in the county," local historian and retired Society administrator Nancy Fike said. Measuring just 16 by 18 feet, the cabin was the birthplace of at least one of Luke's eight children, James, whose own son, Ed, donated it to the historical society in 1966.